Old Man Logan Vs. The Maestro… ‘Nuff Said! Prepare for a new spin on an old favorite as two iconic Marvel mainstays meet in brutal combat once more! Only this time, the former Wolverine will be challenged like never before as enemies from his past rear their ugly heads. Enter…THE MAESTRO! It’s all happening this June in OLD MAN LOGAN #25 as incoming creative team Ed Brisson (Bullseye, Iron Fist) and Mike Deodato (Thanos, Avengers) sink their claws into the hit series with a brand-new story arc! Nobody has pushed Wolverine to the limit quite like the Incredible Hulk. 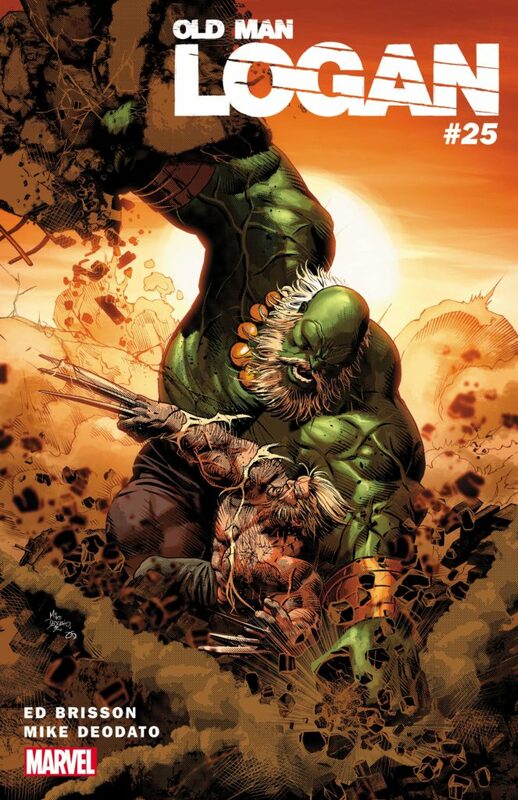 With the Maestro possessing all of the Hulk’s brawns and all of Banner’s brains, will Old Man Logan face the same brink? Plus, the Maestro is bringing some friends! Recruiting the Hulk Gang from Old Man Logan’s hellish alternate future, does Logan even stand half a chance? “Logan’s already battled a future version of Banner who’d gone full hillbilly, and I think the dynamic of him battling against a different, smarter, and more motivated Bruce Banner would be an interesting fight,” says incoming writer Ed Brisson, in an interview with Gamespot.com. With his life turned upside down by an army of rampaging Hulks, can Logan prove once and for all that he’s the best there is at what he does? Find out as Maestro strikes this June as Brisson and Deodato bring you OLD MAN LOGAN #25!